SOL REPUBLIC DECK Speaker Winner! 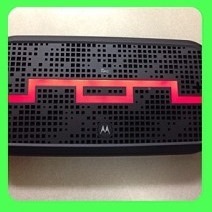 Great responses to the giveaway for the SOL REPUBLIC DECK Speaker! Don’t worry, I took out Hubby’s comments and won’t let him win so if I’m divorced next week, it will certainly be because of this and NOT because I left him with the kids for 5 day to go off and run the Dopey Challenge. The random number generator selected #58. # 58 is Michelle Krause – Michelle, please send your mailing address to amanda@tootallfritz.com and I’ll get your info to the rep so that you can get your new DECK Wireless Speaker ASAP. As for hubby the rest of you, Best Buy is the #1 retailer for the DECK Wireless Speaker. Shop online HERE or head to a local retailer and pick one up. These things are so much fun and they sound great too! Very portable, which I appreciate when I’m folding laundry in my bedroom or soaking in the tub! This entry was posted in Giveaways, Product Reviews and tagged Bluetooth speaker, portable speaker, Winner of the SOL REPUBLIC DECK Wireless Speaker, wireless speaker by tootallfritz. Bookmark the permalink. One wonders what would’ve happened if the random number generator would have chosen #1?